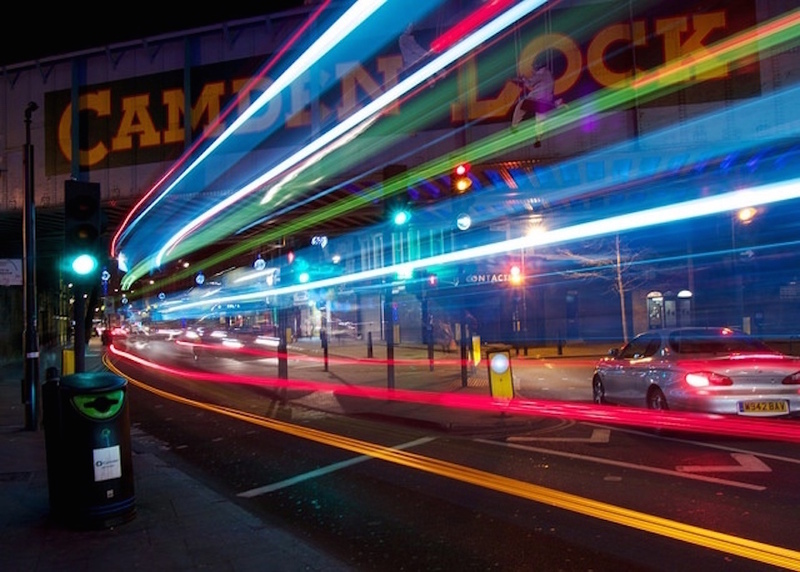 Camden restaurants, breakfasts, lunches, pubs, bars, cafés and more. Camden’s dining and drinking establishments are as diverse a bunch as those who frequent them — and given that the area’s markets make it a tourist hotspot, there are a fair few overpriced and underwhelming traps to avoid. Read our guide below and make sure you’re in the market for a good experience — from top sushi or steak to a fry up, cocktail or pint. NOTE: we’re defining Camden as the area around Camden Town, not the whole borough — roughly from Mornington Crescent tube up to Kentish Town and Chalk Farm tubes, east of Regent’s Park and west of St Pancras Way. Inhabition Coffee Shop is a refreshingly old-school greasy spoon set just across the road from the Stables Market — but the well-cooked breakfasts here really aren’t that greasy at all. The same is true of Italian café Mario’s towards Kentish Town. Leyas coffee shop on Camden High Street is also on hand with early morning pastries, breads and a veggie/vegan-friendly brunch menu seven days a week. There are a lot of food stalls in and around Camden’s markets which are worth avoiding — especially those that force lurid-coloured ‘food’ on long sticks at you as you walk past — but there’s some decent grub to be found too. 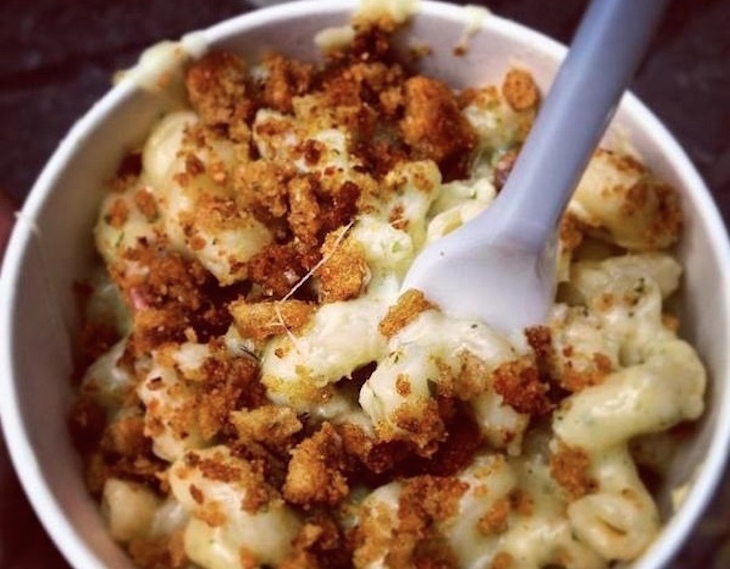 Enjoy a rotating selection of stalls that includes glorious deep-fried halloumi from Oli Baba's, hot dogs from Oh My Dog!, mac'n'cheese from The Mac Factory, Pakistani street food from Roti House and vegan pie and mash from Young Vegans. Outside of the market, My Village Cafe on Chalk Farm Road is recommended by Londonist's Ruth Hargreaves for generously portioned vegetarian fare. Mario’s Café towards Kentish Town is a local institution and serves cheap and cheerful homemade Italian dishes (the parmigiana is particularly well-received) alongside jacket potatoes, sandwiches and all-day breakfasts. Also try Arancini Brothers on Kentish Town Road for wraps or salad boxes with fried risotto balls, and ramen restaurant Seto, not far from Mornington Crescent tube. To finish, Miss Poppy Cakes in Camden Market always delivers on the sweet front. 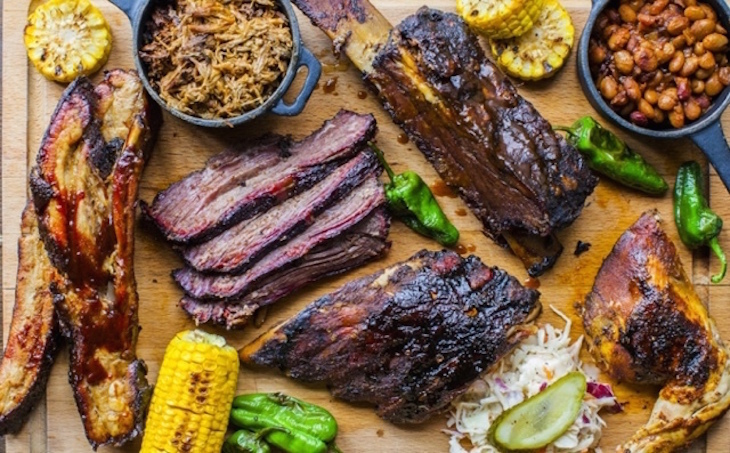 If meaty casual dining is what you’re after try The Blues Kitchen on Camden High Street, or Porky’s BBQ on Chalk Farm Road — both are devout believers in smoky American BBQ cooking, but for us Blues Kitchen has the edge. Fans of fish are also well catered for, with Poppies — which we rated one of London’s very best chippies — serving traditional fish and chips and Hook offering innovative takes on the genre, using alternative batters and spices. There are two excellent Japanese restaurants in the area: Asakusa, an izakaya-style restaurant near Mornington Crescent, and Sushi Waka on Parkway, which offers top notch sushi at a very reasonable price. Bintang on Kentish Town Road dishes up vibrant pan-Asian flavours, La Patagonia on Camden High Street serves good-value steaks alongside other hefty Argentine dishes, Café Chula by the Lock serves bright-flavoured regional Mexican food, and Namaasté Kitchen on Parkway serves seriously good modern Indian food — much better than its illuminated decor might suggest. One of London's few Cambodian restaurants, Lemongrass, can be found serving up Fish Amok and Kampot Pepper at reasonable prices. One of Camden’s best known restaurants, Shaka Zulu now has a sister restaurant Gabeto, also in Camden Market — to our mind both are over-priced and underwhelming. Caribbean-themed Guanabana is a bit of an institution and fun to visit, but not one of the area’s gastronomic highlights. While you can eat very well in Camden, fine dining isn’t what it naturally excels at — but that’s where Primrose Hill comes in. Highlights of the neighbourhood include Bryn Williams’ modern European restaurant Odette’s and the seasonal cooking of Ramsay-owned York & Albany. Of a number of gastropubs in the area, our highlights are The Colonel Fawcett just off St Pancras Way and The Engineer towards Primrose Hill. Sunday roasts are worth checking out at both of them. Camden’s coffee offerings are an ever-changing beast, with many old favourites falling by the wayside in recent years. The coffee crown is currently carried by comfy Leyas on Camden High Street, although we also recommend the memorably-named and cosily-outfitted Camden Coffee House on Camden Road. Casa Tua near Camden Road Overground station also serves lunch and dinner, but don't let that stop you popping in for warm service and quick coffees. 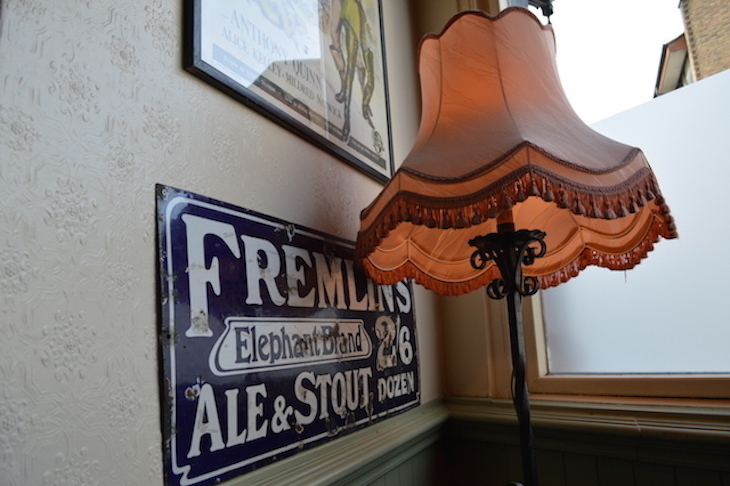 Most of our favourite pubs in the area are a bit away from Camden’s main drag — Tapping The Admiral near Kentish Town West station, which has an impressive ale selection, and the Princess of Wales with an enviable beer garden in Primrose Hill. BrewDog’s bar tends to be rammed, but comes with the brewery’s usual eclectic beer selection. Hawley Arms right next to Camden Market is another decent boozer but can get very busy. Visit our good-pub database to see more recommendations in the area. Camden is home to a rather unusual bar in BYOC — you pay for entry and bring your own booze, which the bar team will whip into cocktails for you free of charge. Bourbon, cocktails and US beers get equal billing at The Blues Kitchen; The Black Heart will suit those who like their drinks with a heavy dose of rock n roll; and good-time vibes mix with well-made cocktails at both Simmons on Camden High Street and Fifty Five bar near the Lock. Heading up to Marathon Kebab House near Chalk Farm station for a sustaining doner accompanied by music. Impromptu dancing until the early hours used to be standard practice, but it’s now usually shut by midnight. Bar takeaways and chicken shops, The Blues Kitchen is a good bet for a late night feed, but you’ll need to be in by 11pm. You can keep drinking there until 3am on Fridays, 3.30am on Saturdays and 1am most weekdays, while Joe’s and Woody Grill serves until 3am on weekends and Belushi’s until 2am.